If you don’t want a permanent vehicle livery solution, magnetic signs work very well. Perfect for people who use their own vehicles for work and want flexibility. 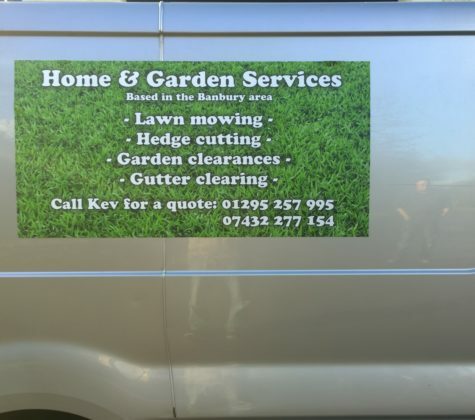 Home and Garden Services wanted the flexibility of being able to brand a vehicle temporarily. A magnetic sign was the perfect solution, allowing them to brand their vehicle during the working day – important for finding new customers – and remove the sign when ‘off-duty’. Magnetic signs are strong and secure and don’t cause any damage to vehicle’s paintwork. Alpha Cars operate a fleet of driver-owned vehicles. It’s important for customers to recognise when a vehicle is a taxi and when it isn’t. 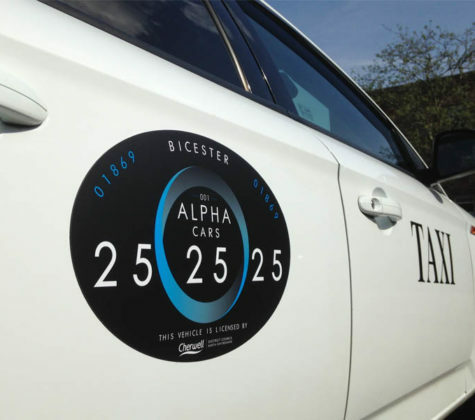 Removable magnetic signs are the ideal solution giving the driver the option to use his vehicle for personal use without being mistaken for a taxi!